At some point, most of us have to make a presentation. Does the notion fill you with dread? Or perhaps you comfortable with presenting, but often don’t know what to say, or how best to say it? Do you think you might get more sales, or get your way more often, if you could made better presentations? Making better presentations is a craft that can be learned. Let’s break the elements of a presentation down to an easy-to-use template. Great presentations are only partly about execution. Great presentations are mostly about planning. Like a great play, or a great movie, great presentations are carefully planned and scripted. A play or movie has a moral to the story. The audience is taken through a series of acts that lead to a take-away point, or moral. Presentations have a lot in common with theater and story telling. They have almost nothing to do with Powerpoint. No more so than a stage prop makes a play. So before you touch Powerpoint, you should reach for a paper and pen, and create a plan. 1. What is the big idea you want to leave people with? What is the moral of your story? This is not “buy your service”. This is why someone should buy your service. For example, “Pay Per Click will increase your brand reach”. Make it a headline. It should be short and easily understood. 2. Decide on three key messages that deliver your point. I’ll explain why three is a great number shortly. 3. Use comparisons, metaphors and analogies to support your key messages. Show your product or service working. In terms of PPC, this can take the form of a case study. A case study is a story within a story. You should outline the problem, the method you used to solve it, and the positive outcome. If you can get your audience involved, do so. Use a Q&A session. Hand product reports/samples around and encourage participation. People will become more engaged with your message. Share the stage with video and audio presentations. There are three types of learners – visual, auditory, and kinesthetic. Most of us are visual, but try to incorporate something for each. “I” meaning the person listening to your presentation. It’s not about you, it’s about them. Why should the customers care about your service? What burning problem does it solve for them? 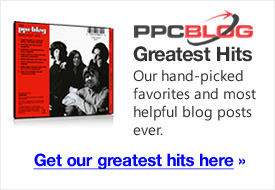 PPC gets highly qualified traffic to websites – starting right now. In order to answer the question “Why should I care”, you first need to understand your customers needs. Put yourself in their position. Why would you come away from the presentation glad to have listened? Get rid of buzzwords and other self indulgences unless your audience has a clear understanding of them. It’s the old cliche – do what you love. Is there anything more dull than listening to a presentation by someone who doesn’t really believe what they are saying? It comes across well when people are enthusiastic, as opposed to just going through the motions. You’re selling yourself as much as selling what you say. If you don’t really love what you do, you either need to find another job, or find something within that job that you can love. Perhaps you enjoy the process of helping find solutions, you enjoy the game, you enjoy making peoples lives better, or doing business. Dig deep to find what you’re passionate about, and inject your presentation with a sense of genuine purpose. 140 character sentences will help you sell your ideas more persasively. Short sentences rule. If you can reduce your main points to Twitter-like headlines, it helps control your message. People will recite your headline when they talk about you. “Google organizes the worlds information”. Repeat your headlines through your presentation, and through your media. There are many words in a presentation, but only so many messages – typically three – you want people to take away. Make sure those messages are short, sweet and repeated often. Create a list of three main points. These are your Twitter-esque headlines. Under each of your three headlines, use story, metaphor, and third party endorsements to reinforce your point. Why three? Three works. Drama has three acts. Songs have an intro, a verse and a chorus. There’s something very human about three. Also, it’s difficult for people to remember many points. Three is certainly a comfortable number for presentations. All stories have a villain. Who is your villain? What is the force (problem) you oppose (solve)? For example, the computer industry often uses the David vs Goliath story. Microsoft once positioned as the underdog against IBM. Apple positioned against Microsoft. Characterize the antagonist correctly. It doesn’t need to be as obvious as a David vs Goliath battle. In PPC, that antagonist might be overpriced old-media channels that no longer work well for the customer. Or the fragmentation of audiences. Establish the antagonist early in your presentation. Movies typically do this in the first 20 minutes i.e. in the first act. First describe the pain, then go on to provide the solution. Go into sufficient detail about the “pain” until your audience clearly recognizes it. Your solution should obviously counter the pain. It should be demonstrate-able. Once the villian is established, you then need a hero. That’s you. Or more accurately, the solution you propose. Describe the status quo. Establish the villian. Introduce the hero. Describe in plain English how your company, product service, offers a cure for that pain. Given the short time frame, Apple didn’t quite get to the last bit – they implied it, however you should have ample time to do so in a presentation. Hopefully this has given you some food for thought. Remember, tell a story. Outline the problem, then propose a solution. A presentation is about them, not you. Focus is key. I particularly like your third point about using comparisons. People new to the industry or less familiar with its concepts can be overwhelmed by new terms and acronyms. Making associations bridges that gap. With Q&A’s its helpful to specify approximately how many questions you’re going to field to give listeners an idea of time. It has taken some time but many companies are starting to figure it out . Customer direct marketing rather than feature marking is much more to the point . We are inedited by feature marketing every day and clients I think are now responding to the benefits or the what’s in it for me type of ads. This article is right on the nail . Thanks I enjoyed it and look forward to more . I found your article extremely helpful and well written. Your suggestions are concise and practical. I’ll be sure to keep them in mind while working on future presentations. How ethical would it be to directly portray a competitor(s) as antagonist(s)? Could this possibly create a bad impression of my company? And how can this portrayal be done tastefully? This was a terrific description of what make s a great presentation. I have given literally close to 1,000 presentations (I’m old) and I make many mistakes that you have corrected. I see this as a good way to pump up webinars as well. Just wanted to thank you for that!